July is looking to be another record-breaking month as housing prices in Toronto continue to soar. Scarborough, in particular, has seen the steepest increases this year. Prices of single detached houses in the area have risen to an average of $625,000 – a 44 per cent increase since 2012. Are these the tell-tale signs of a real estate bubble? Writer Bianca Quijano spoke with Professor John Miron from the department of human geography. The traditional argument in real estate is that prices of different classes of real estate assets in different neighbourhoods increase at the same rate. There can be exceptions. If you’re in an area of Japan affected by the radioactivity from Fukushima then property values are going to be depressed for a long time. It’s a long-term economic perspective that may or may not be correct when we’re looking at mortgages in the short-term. When I was a young man I bought an apartment in downtown Toronto. My parents lived in suburban Scarborough. I lived in my condominium for 30 years. It cost $45,000 when I bought it. It had two bedrooms and two bathrooms. My parent’s house was also $45,000. It had four bedrooms, 2.5 bathrooms, two-car garage, detached and on a good-sized lot. Forty years later I sold my parents’ house for more or less the same price as I could have gotten for my apartment. There’s no such thing as local hot markets or cool markets – at least not over the longer term. In the shorter term, when you talk to real estate agents there are hot markets and cold markets. For a moment, one area looks attractive and people start buying. Then it gets expensive, prices get pushed up and people start looking somewhere else that’s similar but not as expensive. So they start buying in that neighbourhood. It’s like popcorn. It keeps moving around. But when you view it over five years or ten years, they all tend to increase together. Scarborough is not really this new wonderful place to live. Compared to others it was just a relative bargain. House prices in Scarborough will eventually go back into the same state relative to other parts of Toronto that it was in before. The city of Toronto as a whole, Scarborough in particular, is in the midst of a social revolution. This social revolution is changing the way we do things, the nature of consumption and behavior, what’s acceptable, what’s not acceptable. To me it’s evidenced in the condominiumization of Toronto. I lived for 30 years in one of the first condominiums of Toronto. To me, what it means is increasing control over the daily lives of its residents. 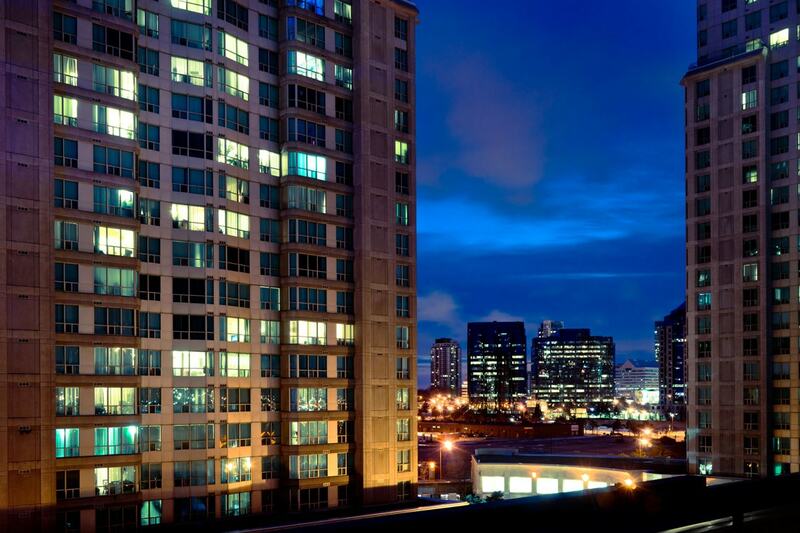 Over time, there is a growing body of rules that you have to adhere to if you’re going to live in one of the condominiums or townhouses that are coming up. If your aspirations don’t match with that of the project, the only alternative for you is to sell your unit and buy property somewhere else. People will find themselves increasingly constrained. In the old days, if you lived in a single detached house, you could pretty much do things that you wanted to do: playing loud music and having friends over late at night are examples. But in condominiums your freedom to live the kind of life you want is becoming more restricted. Also, new residents typically want something different from what previous residents occupied. With hot housing markets in existing neighbourhoods, we find much new construction, renovation, and often intensification. Construction noise, traffic and congested schools can be very disruptive to existing residents. Existing residents who are homeowners can take some solace in knowing their property values have gone up, for renters however, there may be little upside. I say 1986 to 1988 was clearly a bubble. Prices doubled in three years. Then they fell by 30 per cent. Somewhere between three months and a year was all it took to fall 30 per cent. I use that as a benchmark. Prices have to increase that quickly again for this bubble to burst. I don’t think we’re at that stage yet. Prices certainly have gone up very rapidly from 2005 to the present time but it will come to an end. The general rule is that the rate of increase of house prices is about two-thirds of the rate of increase of the Consumer Price Index. We’re well above that level at the moment. But there will be a period coming up soon where it will be much slower. Don’t think of housing as a good investment. It’s not a good investment – over the long term it generally loses ground relative to the Consumer Price Index. If you want to invest in the long term so that you earn more than the rate of inflation then you have to invest in something other than housing. In 1988 when the prices dropped in Toronto it wasn’t until 2005 that they started rising substantially. So if you bought a house in 1988, at the height of the market, in 2005 you still hadn’t recovered your money and that was 17 years later. People think that prices will keep increasing forever and ever. That’s not true. We have protracted periods where prices have not increased very much at all. How you balance all of your priorities in life is also another thing to keep in mind. For example, now I live in an old part of Pickering built in the 1950s. It’s by Lake Ontario, backing onto the Rouge River. It has ample parking, lots of big trees and shade. It’s a wonderful area with 50 to 100 ft. lots. You go to a new subdivision in Pickering and the houses are built very close together. You can’t step on your driveway without looking at your neighbour’s car. There are no trees, no privacy, no shade. I look at this and think that people can’t possibly live here. But they all sell quickly. Some people don’t want to spend their money on housing. They want to spend it on other things that are more important to them. That trade-off determines what people are going to buy.